Earlier, the US president had promised to keep all illegal immigrants in the caravan coming from Central America housed in tent cities until their asylum applications are reviewed. 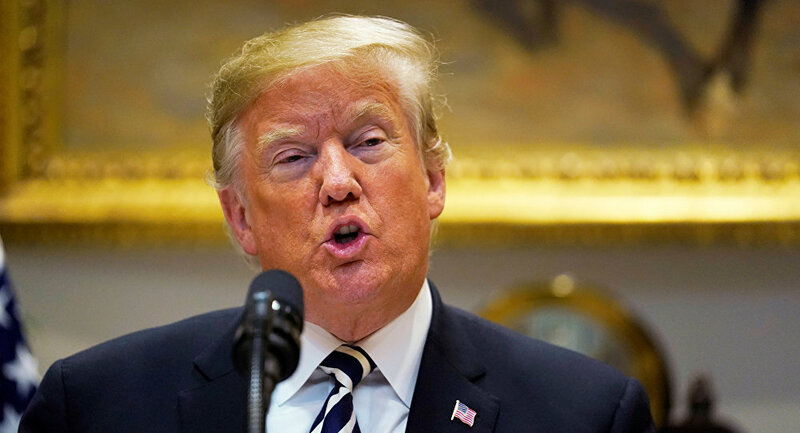 US President Donald Trump has said on November 2 that illegal migrants throwing rocks at the US military will be arrested, but added that soldiers will not fire back. He earlier suggested that the US military has the right to open fire at migrants if they are attacked. The US president has also noted that all of his actions with regard to asylum policy are in compliance with existing laws. 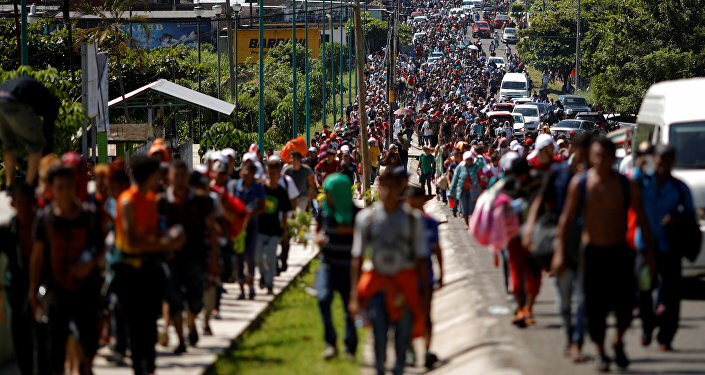 The Pentagon announced on October 29 that it had sent over 5,200 troops to the southern US border in order to help border guards cope with the incoming migrant caravan moving from Central America through Mexico towards the US. Trump said later that the US could send as much as 15,000 troops to the area. Trump has also predicted that Washington and Beijing will be able to reach a new "very good" trade deal and said that a lot of progress has already been made in that regard. He also confirmed a willingness to "open up China and make it fair" in terms of trade with the US and said the trade deal will be discussed during his dinner with Xi Jinping at the G20 Summit. "We are getting much closer to doing something. I think a very good deal will be made with China," Trump said. Earlier in the day, the White House's top economic adviser, Larry Kudlow said that the US and China are not close to reaching a trade deal and stated he looks at its perspectives with greater pessimism than before. He also warned that depending on how the talks go, Trump may decide to "pull the trigger" on extra tariffs on Chinese goods. The US president has also mentioned the upcoming sanctions against Iran claiming Tehran will be taking "a very big hit," when they are in place. The US will be reintroducing sanctions against Tehran, which were earlier lifted under the provisions of Joint Comprehensive Plan of Action, also known as the Iran nuclear deal. Sanctions will hit the country's energy, banking and shipping spheres. Washington has put up a list of 12 demands that Iran must meet in order to convince the US to drop sanctions.